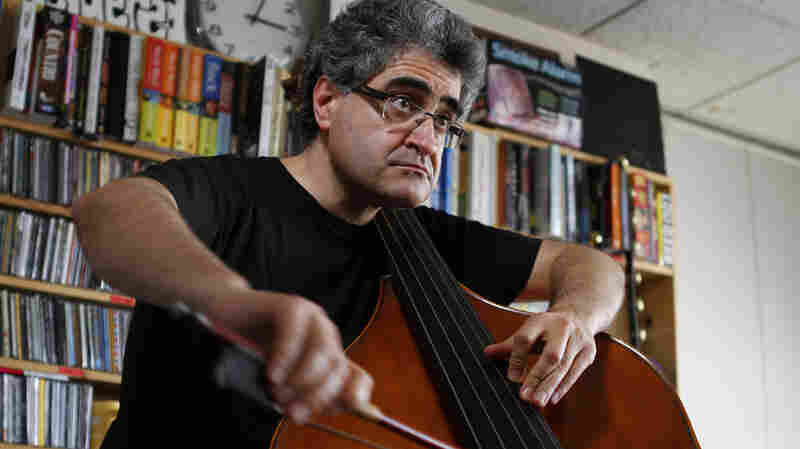 August 27, 2012  The renowned double bassist from France demonstrates his love of classical, jazz and flamenco while performing solo behind the Tiny Desk. Watch Garcia-Fons thump, strum and loop his way through three mesmerizing songs. August 20, 2012  Somehow, we managed to fit a glossy black Yamaha upright piano behind the Tiny Desk. Then we tuned it and waited for some glorious moments. 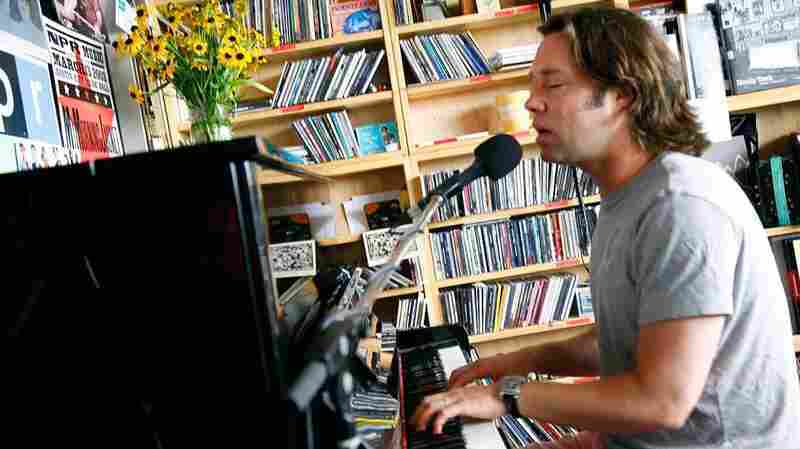 By the time Wainwright reached the middle of his final song, "Montauk," there were few dry eyes among the NPR employees and guests. August 12, 2012  Predicting music that will survive the ages just isn't possible. 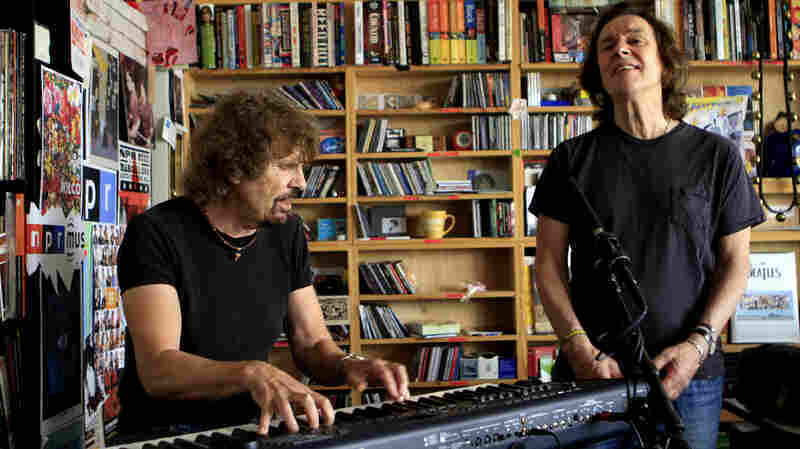 In a stripped-down performance at the NPR Music office, founding members Rod Argent and Colin Blunstone still have the chemistry that began 51 years ago, playing classics like "She's Not There." 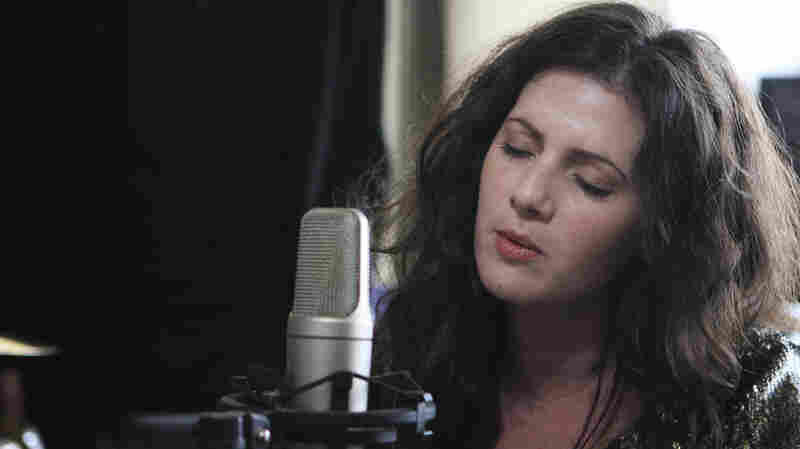 August 6, 2012  Known for mixing folk and electronic music, Orton unveils three new songs with just an acoustic guitar. 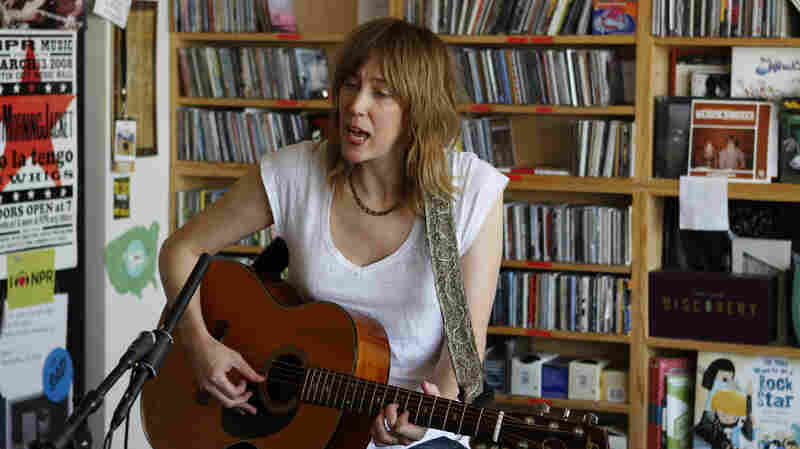 Her next album, Sugaring Season, doesn't come out until Oct. 2, so consider this a sneak preview — alongside a lovely, spare version of 1999's "Sweetest Decline." July 29, 2012  Singer Hamilton Leithauser may wield an acoustic guitar in these three songs, but this is no awkward attempt to shoehorn booming rock anthems into arrangements that don't suit them. 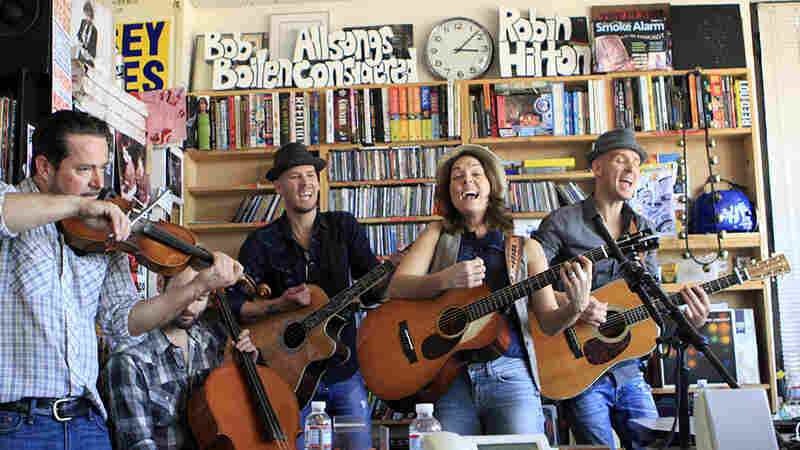 It's clear that these guys were making the Tiny Desk accommodate their sound rather than the other way around. 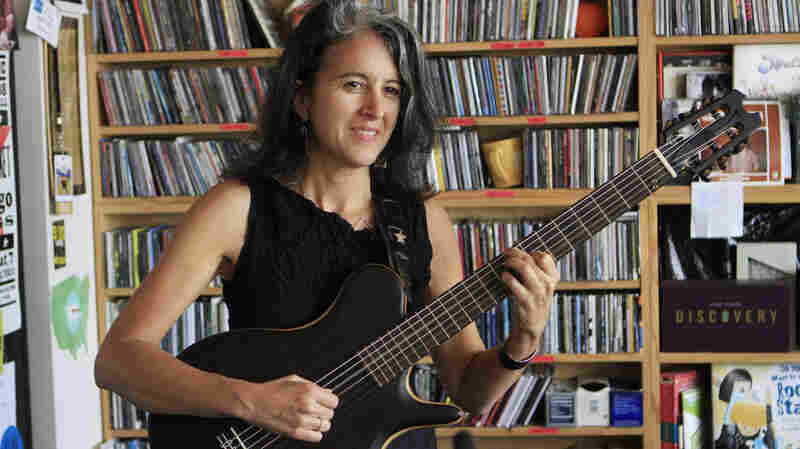 July 22, 2012  Guitarist Janet Feder marries classical technique and folk song structures with a curiosity and imagination that lets her custom nylon-string baritone electric take on otherworldly textures and sounds. 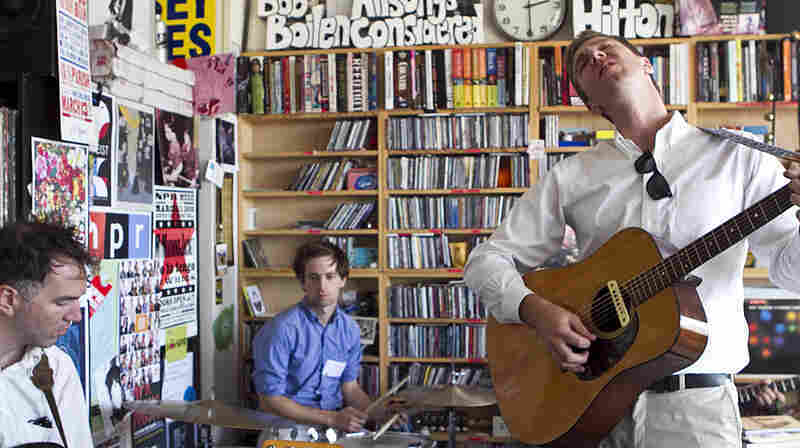 July 16, 2012  Joey Ryan and Kenneth Pattengale get a lot done with subtle gestures, but there's real sophistication to the three gorgeous, harmony-rich folk-pop songs they recently performed in the NPR Music offices. July 15, 2012  A soulful yet steely singer-songwriter from Algeria charts her own course, from withstanding death threats in her native country to selling hundreds of thousands of records around the globe. 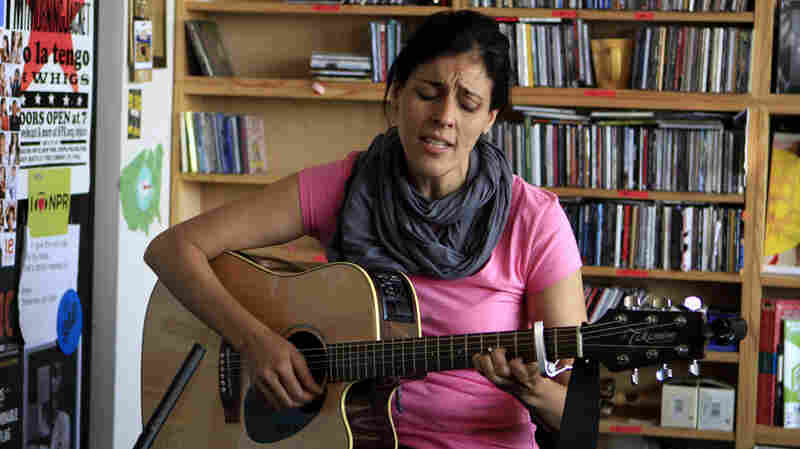 Watch her perform four songs in the NPR Music offices. 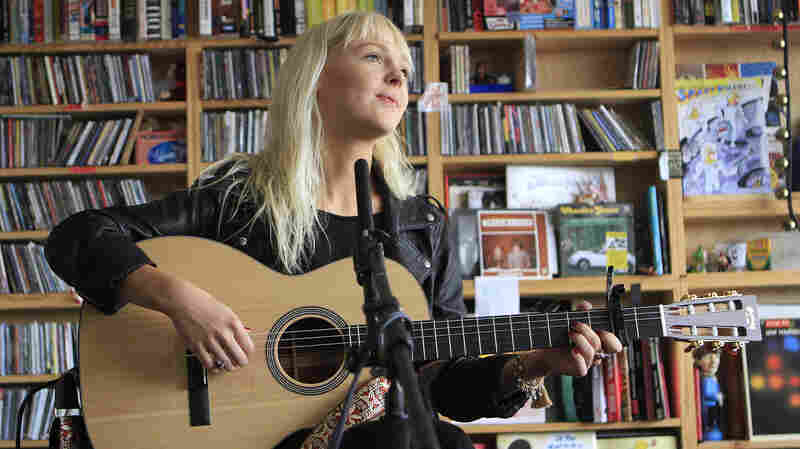 July 12, 2012  In this performance at the NPR Music offices, two pieces from Laura Marling's newest record, 2011's A Creature I Don't Know, bookend a gorgeous new song called "Once." She'd never even recorded "Once," let alone released it, so consider this performance a premiere of sorts. July 9, 2012  In the tradition of the best bluesy folk-rock singers who preceded her, Carlile sings with restrained power and from-the-gut force. July 2, 2012  The songs of Exitmusic are so romantically rich, they could envelop a cavernous hall. Luckily, the band didn't defang its cinematic power and anguish in the intimate confines of the NPR Music offices. 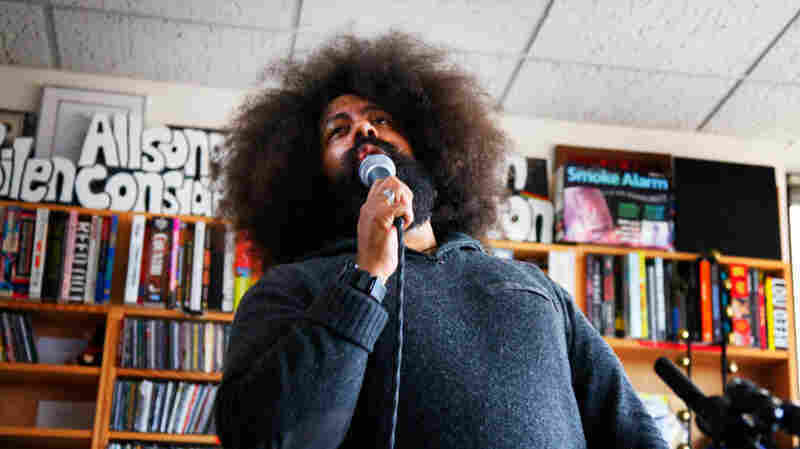 June 25, 2012  Comedian and musician Reggie Watts recently visited the NPR Music offices with a simple setup of loop and delay pedals and a microphone. 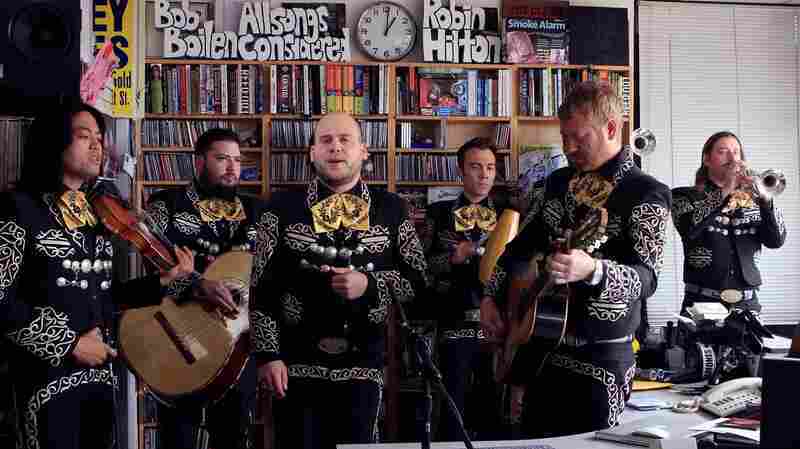 June 21, 2012  Even though its members started out as the L.A. punk band The Bronx, Mariachi El Bronx isn't faking it. They play with just right amount of passion and pathos, strum as if they've studied the masters and don't look out of place in those pants and little jackets. 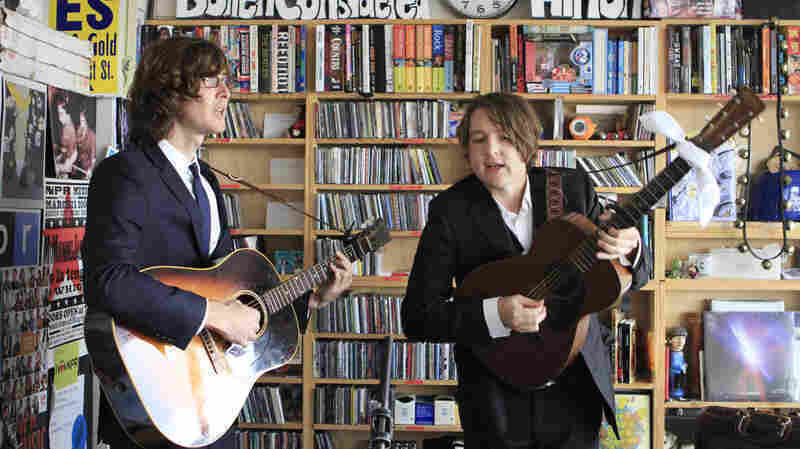 Watch a fun set at the NPR offices. 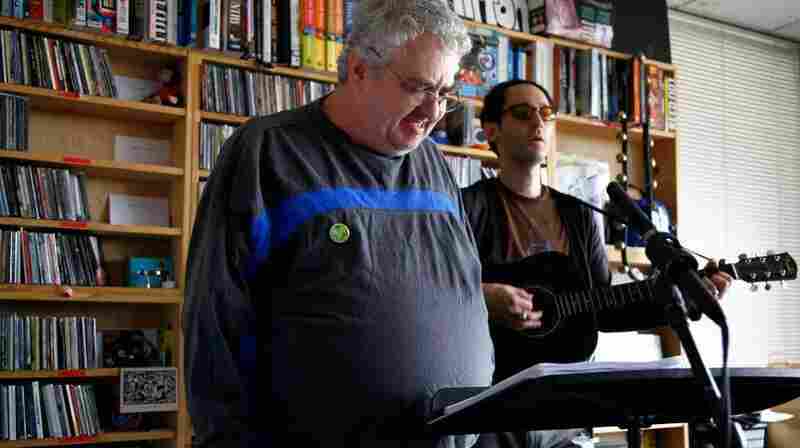 June 17, 2012  While the new Rhythm and Repose feels like a low-key '70s singer-songwriter record (think Cat Stevens or Van Morrison), this five-song set gives Hansard a chance to flex his neck muscles a bit, as he lends blustery force to an assortment of new songs and deep cuts. 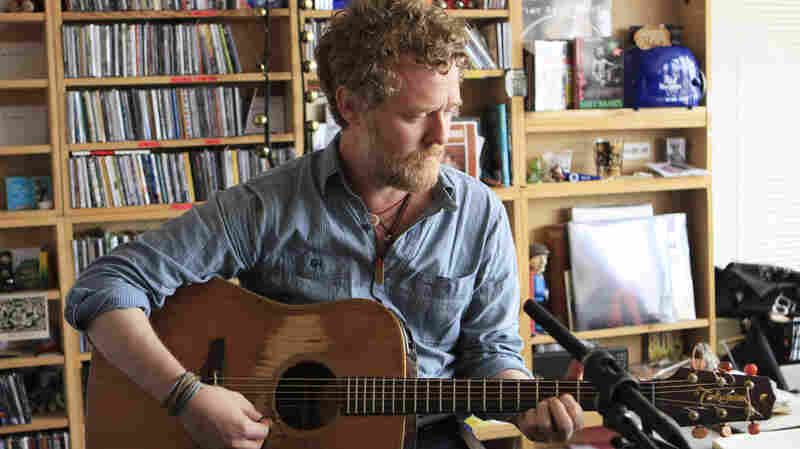 June 11, 2012  A troubled soul with a talent for writing honest, disarmingly direct songs, Johnston performs in the NPR Music offices. His short set closes with one of his classics: "True Love Will Find You in the End."